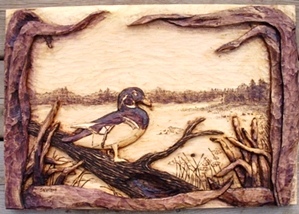 Carving of a Good Day Fishing. Hand carved Fishing sign. 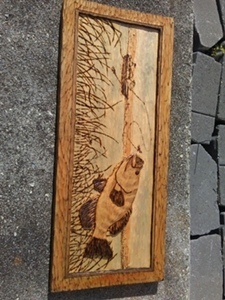 Finished in stain, wood burned and sprayed in lacquer. 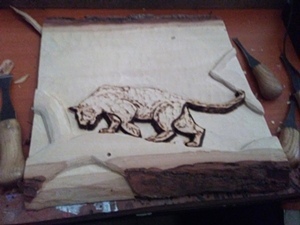 Hand carved Panther made for a special friend at Fort Benning who had to move on. 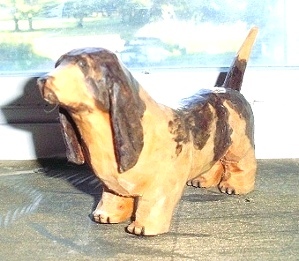 Carved in Butternut Live bark wood. 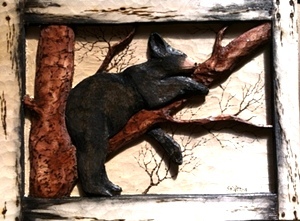 Lions, Tigers and Bear OH Yeah; We can carve those too!